Jan Molam : Banyen Rakkaen - this is where Molam really kicked off...! Banyen Rakkaen - this is where Molam really kicked off...! ...Molam is probably hundreds of years old, but for me it really kicks off with this album - because here the traditional Lam Ploen was taken to a new groove that it did not have before in my opinion. Older forms have a good groove as well, but here it started to kick you hard. This set does not yet use electric instruments, but the drums that support the traditional Kaen (mouthpipe) move it away from folklore and push in the direction of rough soul. I guess it is from the late sixties or early seventies. The recording itself has a raw quality that later Lam Ploen records do not possess. 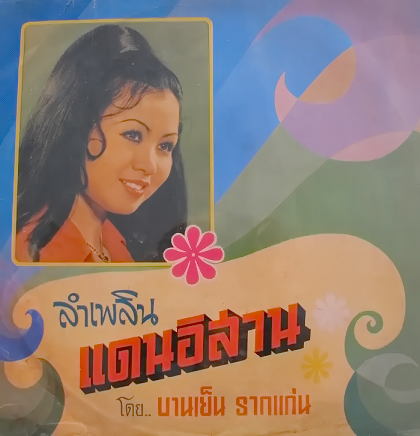 So here is this really rare record (titled "Lam Ploen Denn Isan") in all its glorious Mono for you to enjoy!